How do you tell your elderly mother she can’t afford to send checks to all the charities who solicit funds from her? If you suspect your parents’ bills aren’t being paid on time, how do you ask them about it? If your father is in the early stages of Alzheimer’s, when is it time to take over his checkbook—and how do you get him to relinquish it? One of the many challenges of supporting parents through their final years is deciding when it’s necessary to help them with financial decisions and day-to-day management of their affairs. If someone is debilitated by a sudden event such as a stroke, the need for help may be clear. It may be harder if an elderly person’s mental and physical abilities decline gradually. By the time family members realize the need for medical and financial powers of attorney, the parent may no longer be competent to make the necessary decisions and sign the forms. The solution, of course, is to plan ahead. Children and parents should have conversations about money and how to manage finances. Parents should execute powers of attorney, set up trusts, or make whatever other arrangements might be necessary. Yes, and all of us should save 20% of our income, set up a budget and follow it, and floss our teeth every day. Just because we know what we should do doesn’t mean we have the discipline, the knowledge, or the emotional and financial skills to actually do it. This is especially true when it comes to helping elderly parents. You don’t want to come across as pushy. You don’t want your parents to think you’re trying to get your hands on their money. You want to respect their autonomy as long as possible. Yet you don’t want them to be taken advantage of or to mismanage the funds that are meant to provide for their final years. 1. Help set up automatic payments through their bank for bills such as utilities. 2. Frame your offers of help in terms of making it easier for them physically, rather than implying they aren’t capable of managing their own money. 3. Ask what help they think they need, rather than telling them. Remember, these are adults who have managed their own financial affairs for years without any help from you. Be respectful. Offer, don’t order or insist. 5. As medical power of attorney forms become increasingly common, you may be able to use signing one as a starting point to discuss having a financial power of attorney as well. Suggest executing it as a wise contingency for the future rather than an immediate need. 6. Show yourself to be trustworthy. If you shop with your parent’s money, bring back receipts and change, and show them exactly what you spent. 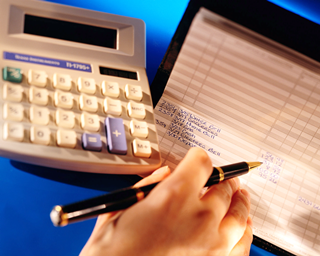 If you offer to balance the checkbook, do it with them rather than for them. Be as transparent and ethical as you would want someone to be with your money. Ideally, this wouldn’t even need to be mentioned. Yet too many elderly people are cheated and financially abused by members of their own families. Especially if your relationship with a parent has been difficult, it may take time to establish enough trust for them to let you be involved financially. Finally, in helping parents with money-related concerns, remember that the non-financial issues are often the hardest. When things get difficult, it’s probably not about the money.